Edited by CANactions School for Urban Studies, Kyiv, Ukraine. Architect, urban planner, and educator for the past 70 years, Doshi has been instrumental in shaping the discourse of architecture throughout India and internationally. Influenced by masters of 20th-century architecture, Charles-Édouard Jeanneret, known as Le Corbusier, and Louis Kahn, Doshi has been able to interpret architecture and transform it into built works that respect eastern culture while enhancing the quality of living in India. His ethical and personal approach to architecture has touched lives of every socio-economic class across a broad spectrum of genres since the 1950s. Wednesday night March 7th, 2018. I was sitting on one of the multiple relational spaces designed by Balkrishna Vithaldas Doshi in 1962 at the CEPT campus in Ahmedabad (India). In such space, where the boundaries between private and public disappear, I was having an exciting conversation with another foreign teacher about the complexity and fascination we felt around Indian spatiality, when suddenly a student with a glazed expression and all-encompassing smile came to us and murmured: 'Professor Doshi has won the Pritzker'. My answer, a mix of surprise and happiness, went unnoticed by the guy who had by then wandered off in a kind of state of ecstasy. He disappeared. This Pritzker Prize 2018 is not only an acknowledgment given to one specific person – as this award usually is –, but it is an honor for the whole country. 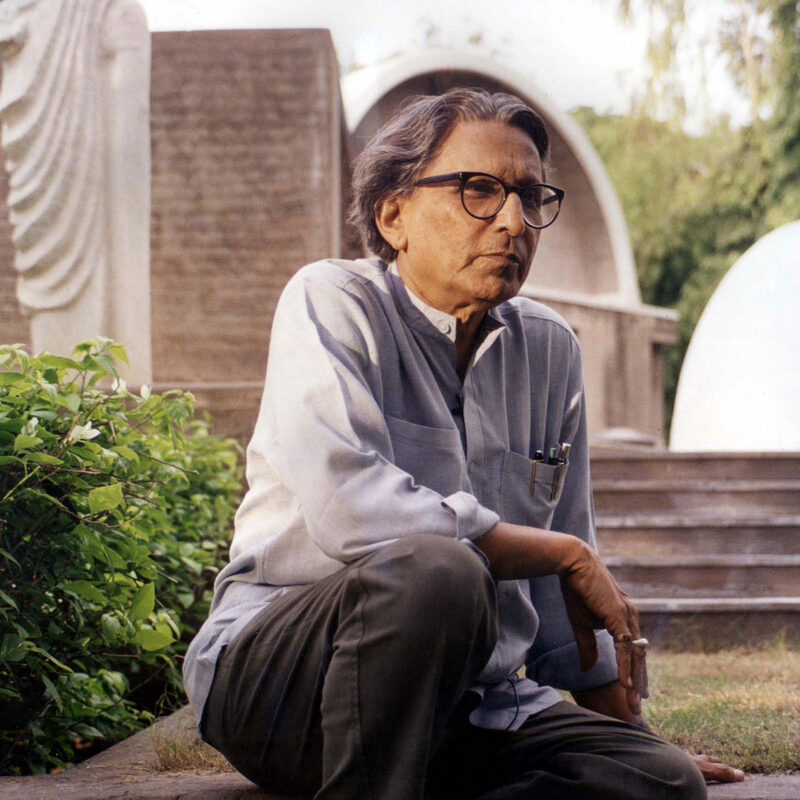 A country that recognizes Doshi as the godfather of post-colonial and modern Indian architecture. In 1947 Indian got his independence from British Empire. Between 1951 and 1954 Doshi worked on Le Corbusier's atelier in Paris. In 1955, he came to India and opened his own studio in Ahmedabad: the Vastu-Shilpa Foundation. There, he started to adapt, modulate and even distort the Modern Movement, which has built much of the Western World over decades, to the specific Indian context. He escapes from hackneyed patterns. He recognizes the difference, particularity, and individuality of communities. He places value on traditional aesthetics and construction techniques in order to apply on his delicate designs. Designs that reflected the country as it was, not as colonial powers would have liked to shape it. In projects like his brilliant 'Aranya Community Housing' he identifies the impossibility of imposing an architectural order –'the mere provision of well-designed and well-built habitat does not necessarily generate a stable and active community with the capacity and the means to grow'- and forcing bodies to inhabit a static disposition incapable of evolving if the circumstances change -'the stress laid on flexibility and elasticity at all levels of planning should ensure that the proposals put forward can respond dynamically to any feedback received'-. The public realm is in effect truly public and proper areas are adapted to receive temples, children games, chores, or casual gatherings. Aranya is currently a place where roughly 80.000 people are living. Living a life. Professor Doshi lives in Ahmedabad and anyone, whether it is a student, researcher, architect, artist, friend, or unknown inhabitant is more than welcomed at his place in order to discuss any matter. There, he listens to people. This is not a trivial thing because he is probably who he is because has known how to listen throughout his long life. 90 years. 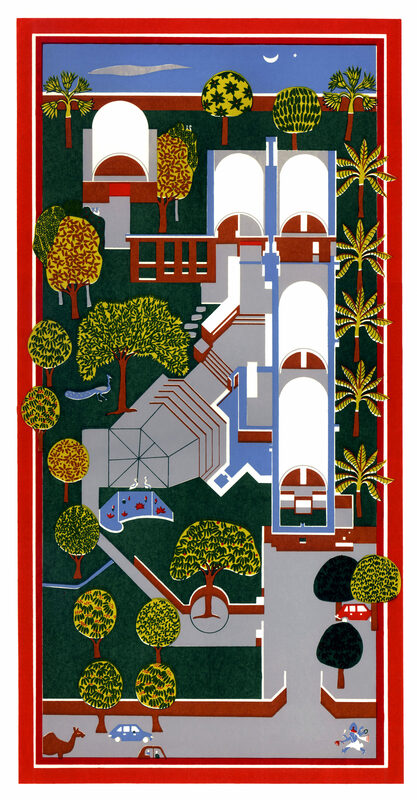 He listened to the mythical architects Le Corbusier or Louis Kahn – their Indian works were developed by Doshi. He listens to extreme Indian climatic conditions, from the suffocating heat to the monsoon floods, in his designs. But above all, he has listened to the Indian territory, to the myriad of Indian bodies. In an overly noisy architectural scene, it is time to listen to Mr. Balkrishna Doshi. The celebration had begun around the country, in Ahmedabad – the city has witnessed Professor Doshi's legacy, his growth as a sensitive designer, extremely dedicated approach towards his work and at the same time a curiosity which still awakens him to become vibrant even today! "..we design to define a better lifestyle!" the words I remembered standing outside the auditorium in the CEPT University, while I started my post-graduate studies. The arena was fully occupied and I could only sense his firm voice and render the visualisation he was describing. Being in the field for almost a decade now, I somewhere begin to relate what he was trying to say on the very first day I heard him. We live in a population of 1.3 billion around us, in the complex structure in the society, defining our community spaces. Doshi's practice wanders in these varied pockets, cultivates and responds to its context; in the climatic extremity we have in India with traditional and cultural values we nurture with. And that is where he has experimented with his ideas having diverse design manifestation in each of his built forms. of modern architecture with research into the substructures of Indian tradition. 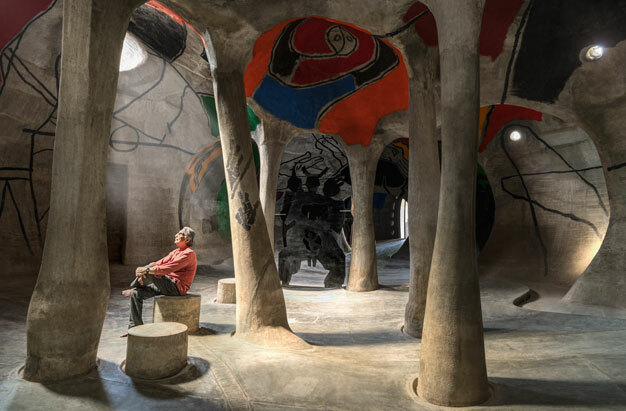 The primary lessons from Le Corbusier and Louis Kahn have been transformed to deal with the searing climate and the needs of an ancient civilisation undergoing dramatic change." 2. The ultimate association with the greatest architects like Corbusier and Kahn and their teachings. Later, 1977 onwards he was in partnership with Joseph Allen Stein and Jai Rttan Bhalla. 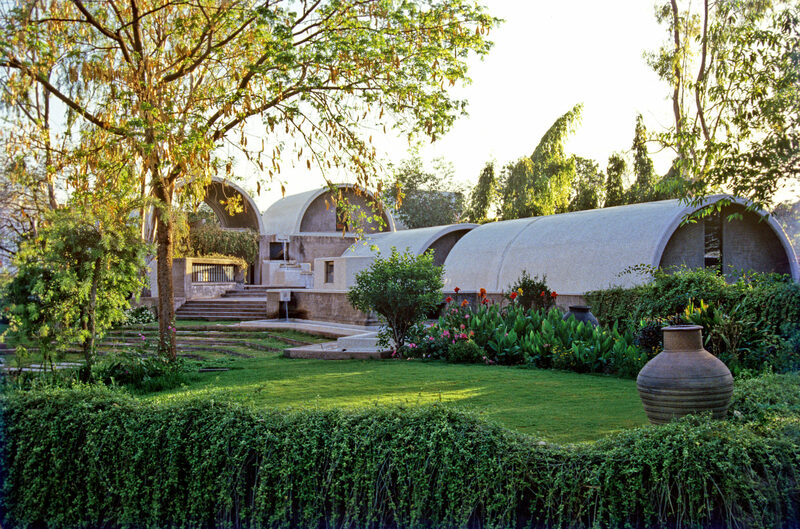 He initiated his own practice – Vãstu Shilpã Consultants (1979-81) where he designed his own studio – Sangath on the edge of countryside to the west of Ahmedabad. "Sangath" means "moving together with participation" and the place is more than just an architectural office. While I was working in this space, the sense of place and space keeps you far away from my daily routine and motivates one to keep on exploring each day! He is still volatile and at the same time stable to sense everything happening around him, he can talk to his gardener with the same rigour as with professional or with his students. He accepts the way life renders it, welcoming it, flourishing it! 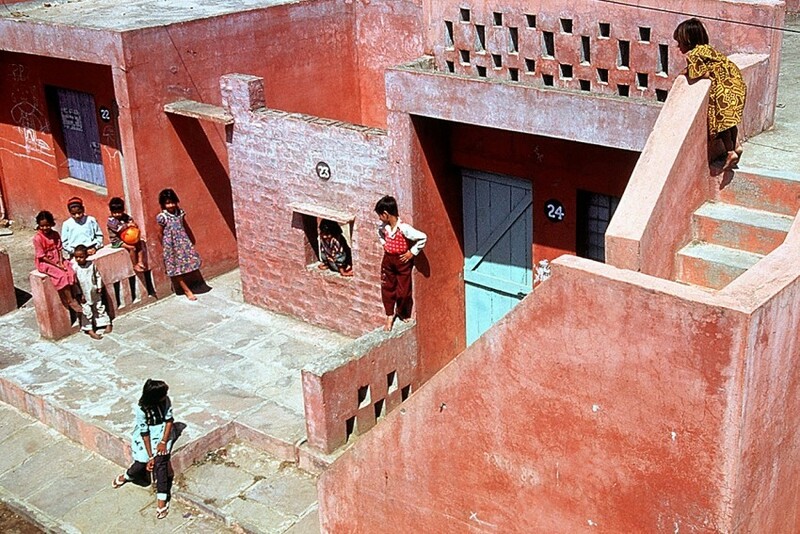 Every morning for two months, we made the trip to Sangath, the studio of the Indian architect Balkrishna Doshi. We would get out of the rickshaw at a nearby crossroads: all around us was a noisy throng of honking cars, motor scooters, and camel carts. In front of us loomed a high wall, overgrown with tropical plants. Beyond the wall were towering trees. Stepping through a gate, we entered into a wondrous garden that also housed the studio. The din of the town slowly faded away. The studio consisted of white domes, partly sunken into the ground: On hot days, staff would cool these with water flowing down in a series of cascades. Studio members would meet for the daily chai break in the shaded garden, which was also used for reviews and the model workshop. Sometimes monkeys romp on the roof, only to be driven away with long sticks. It was only after a few weeks that we noticed that, in fact, both sides of the wall were being used. A mobile kiosk, a barber, a chai wallah, and a tailor had set up their businesses between the wall and the street. The wall was used to rig up a mirror, served as windbreak and sunshade, as boundary and backrest. We were so distracted by the strange noises and smells, the traffic and the heat that we had not noticed how variously the wall was being used. With our eyes now peeled, we wandered through the city in the subsequent weeks, collecting many new impressions. There is hope, that modernity created more than white elephants. What we see in the work of Doshi is more than just proof of an extraordinary talent, groomed by extraordinary masters. The possibility emerges, that modernity gave us not only an overwhelming feeling of anonymity and a seemingly unstoppable wave of cultural extinction, reaching many times around the globe, as a sort of nuclear overkill indicator due to century long globalization. But that modernity also made our future life together possible on this blue dot, without wiping out our cultural past. Every single wide angle or narrow angle picture of the work of this year's Pritzker prize winner, every perspective, zoomed in or out, speaks about locality and identity in a global culture, in a way that is most humble for its author, but lavishly embracing modernity and celebrating it in material, style, form and detail, in such way that we, the bystanders, can see a greatness we often deny modern architecture, even more so modernity. A greatness coming from the ability to accept otherness, to merge with otherness, to make otherness shine. It is rare that horizons are cracked up in this way, and we can see things unknown to us yet. Balkrishna Doshi managed to do just that. Neha Korde is a participant of the CANactions School of Urban Studies ASIUD 2017/2018 educational program. Neha is an Assistant Professor at J. J. College of Architecture, Mumbai – MH India with a wide educational background in architecture and urban design. Rudolf Gräf is a Tutor and Mentor at CANactions School for Urban Studies. Rudolf is an Architect with degree from Technical University Graz, for the last 10 years he has build up the Vitamin Architects office in Romania, working on urban planning and integrated urban development. Currently he works as an urban planner for the Chernivtsi city hall and Integrated Urban Development in Ukraine Project. Víctor Cano Ciborro is a Teaching and Research Fellow 2018 at CEPT-University, Ahmedabad, India. Víctor is an Architect and holds a Master in Advanced Architectural Projects (2013) by ETSAM in Madrid where he is currently a PhD Candidate. In 2017 he has been a tutor at International Workshop "Mystetskyi Arsenal: Spatial Development Scenarios" organised by CANactions School for Urban Studies. Image, Plan and Drawing Courtesy – VSF.